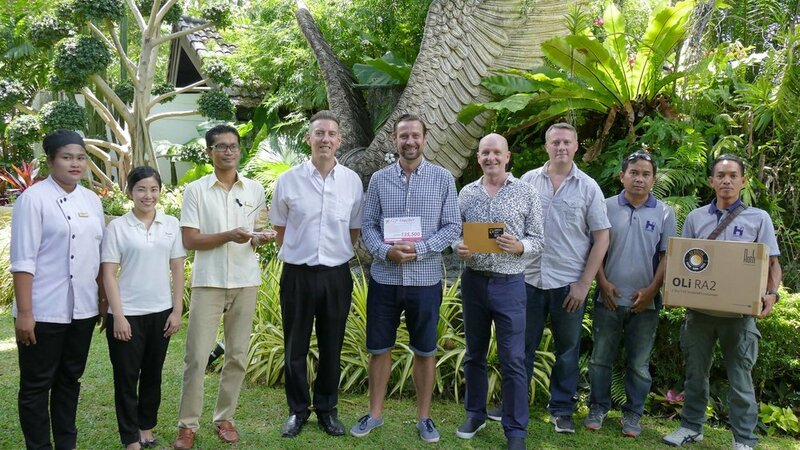 H3 Digital's System Designer Rob Hobbs, Installation Manager Wirut and Electrician and Burger enthusiast Wit were on hand at the Phuket's Best Burger awards ceremony to present Thavorn Beach Village and Spa with their Roth Oli RA2 Speakers for winning Phuket's Best Burger 2017 at the end of March. Congratulations guys, well done on the win in such a competitive field. Second place went to Novotel Phuket Karon Beach Resort and Spa and Third to Pullman Phuket Arcadia Naithon Beach. I think 2018 is going to be even bigger and better, we are looking forward to it. Read more at Phukets Best Burger on Facebook.